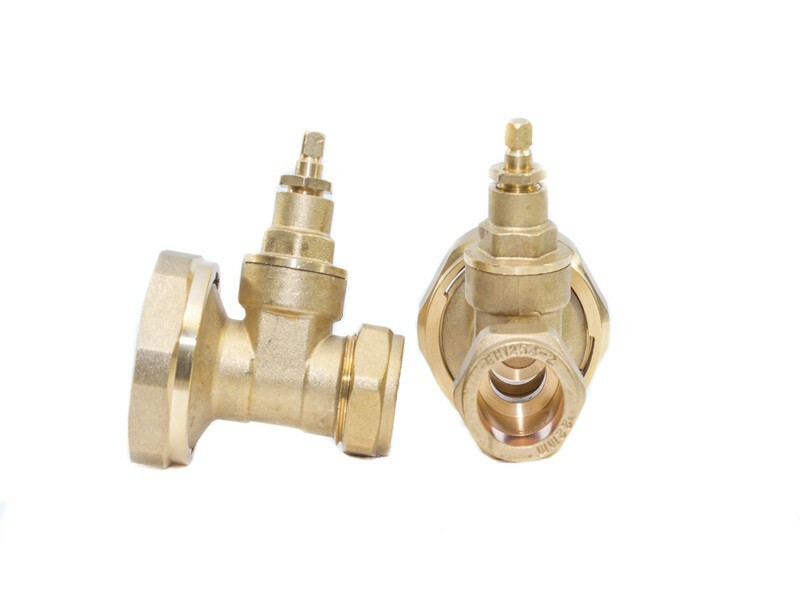 This pair of 28mm brass compression gate type pump valves can be used to isolate central heating pumps and will fit all domestic circulating pumps. 2mm Pump valves, for underfloor heating pumps. Each valve has a 22mm compression nut and olive, and a 1″ 1/2 female thread that can be attached directly on to the underfloor heating pump.